Effective, fun and exclusive method. Entirely customized to suit your specific level and goals. In-person, one-on-one sessions with one of our expert coaches using our exclusive method provide an intimate, focused learning experience. Connect effortlessly with a language coach in Madrid, Quito, Buenos Aires or any of the many cities throughout the Spanish-speaking world where our highly skilled coaches live and work. Hone your Spanish conversation skills in a relaxed and fun way. Easy Español TALK sessions are carefully crafted to propel you into language competency in the shortest time possible. Easy Español Small Group Class curriculum ranges from single-class workshops on specific topics to multi-week courses which provide the full language program in our exclusive method. Easy Español offers customized on-site and live-online language instruction to a wide range of institutions, corporations and not-for-profits, tailored to meet the specific needs of any organization. Easy Español’s Cultural Immersion Program Abroad is the summit of our Live the Language approach, emphasizing the socio-cultural context in which communication takes place. Meet our highly-experienced team of native-speaking coaches who will help you achieve your language goals in no time. Unique, effective and fun method based on years of experience and solid research. Easy Español provides Spanish language instruction to students of all ages and all levels. 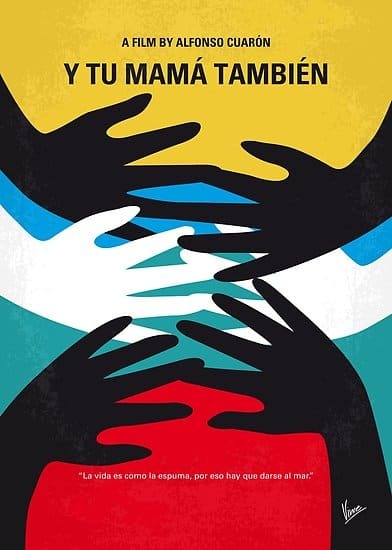 Pelicula, Vino y Empanadas: "Y tu mamá también"
Come and enjoy with us this great film in Spanish with subtitles, learn new words in Spanish and practice conversation among cool amigos while enjoying some wine and empanadas! $20. Saturday 04/27 at 5pm. Online classes with native Spanish speakers are great. My friendly instructor made classes fun. I greatly improved my listening comprehension and conversation skills. We also covered Spanish literature which I loved. I am continuing with the classes. Easy Español gave me confidence to start learning Spanish at age 69. The atmosphere is wonderfully friendly and encouraging but at the same time the teaching methods used are practical and carefully structured. My instructors are the best and I always look forward to our classes. When I need to sing songs in Spanish, they help improve my pronunciation dramatically. As a result, I’m much more positive and secure about my singing career. Too old for school. Too impatient for classes. Way too easily bored by a teacher who can’t size up my strengths and weaknesses to address them immediately. That’s why eSpanishlive from Easy Español is the Spanish program for me.